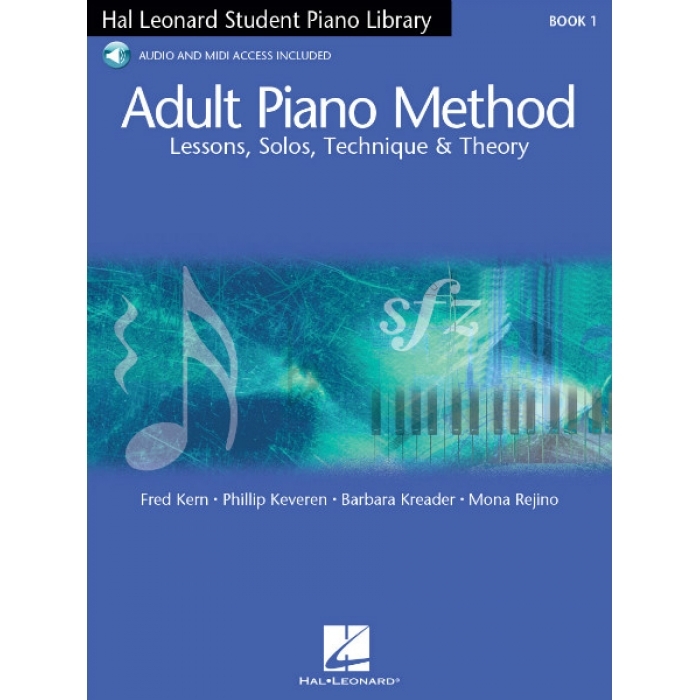 Composers: Fred Kern, Phillip Keveren, Barbara Kreader and Mona Rejino ► The Hal Leonard Student Piano Library’s Adult Piano Method takes an all-in-one approach by combining lessons, solos, technique, and theory into a single volume. 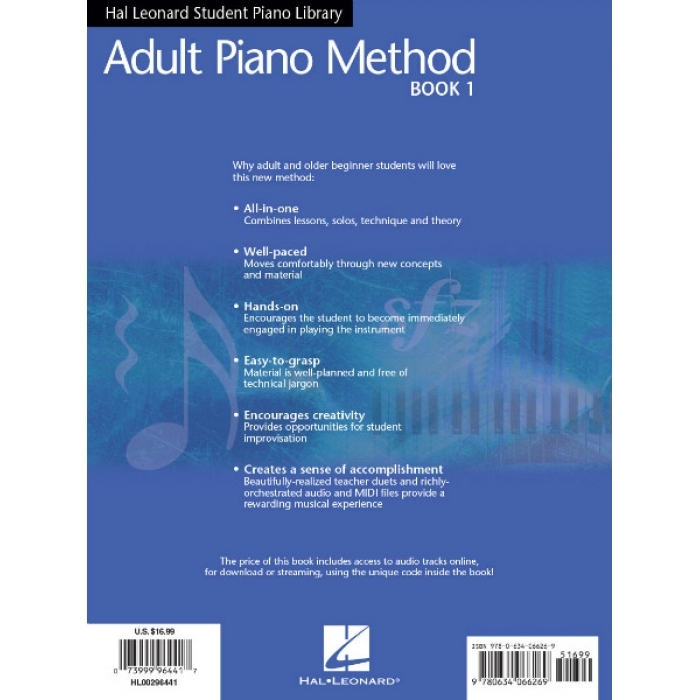 The authors have taken a logical step-by-step approach, always keeping the adult learning process in mind. 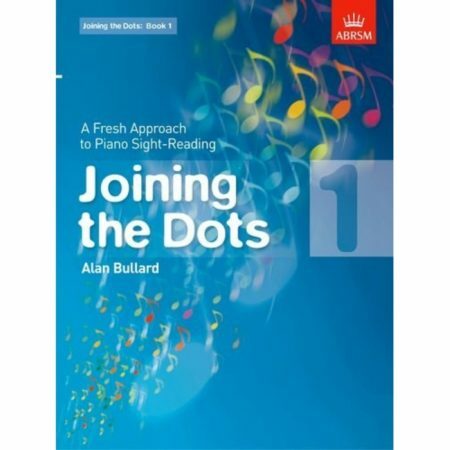 The book is well-paced, moving quickly but comfortably through new concepts and material. Beginning adult students will find this book challenging enough to be interesting, yet easy enough to experience a sense of accomplishment and satisfaction. 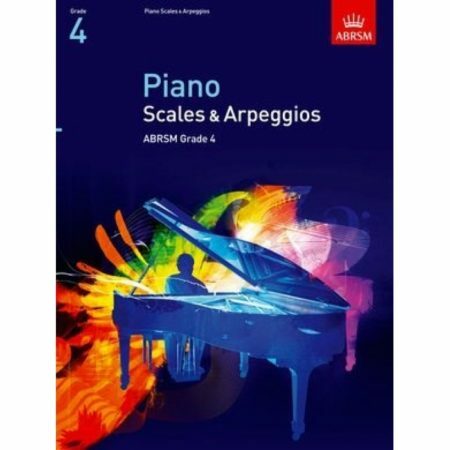 Richly orchestrated accompaniments are available online for streaming or download and provide a rewarding musical experience for the players. Companion supplementary books including Popular Hits, Popular Favorites, Christmas Favorites, and Traditional Hymns are also available.